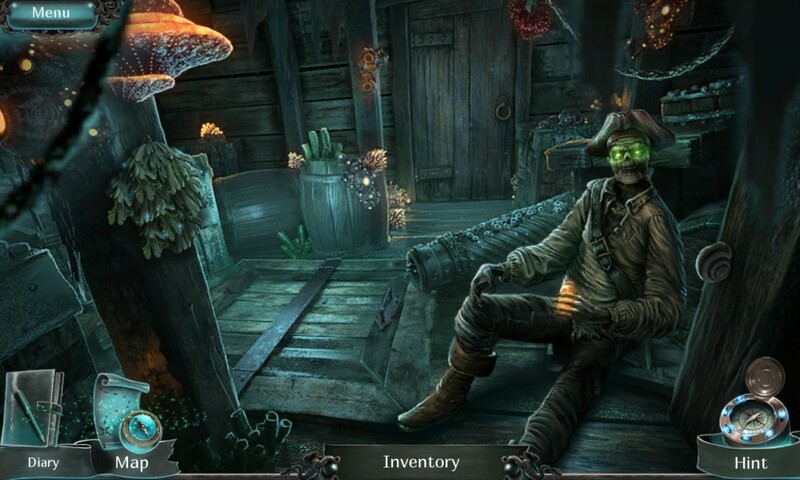 Artifex Mundi’s Nightmares From the Deep: The Cursed Heart is an exciting point & click adventure/puzzle game that sees you in a desperate race against time to rescue your daughter from the clutches of an undead pirate. 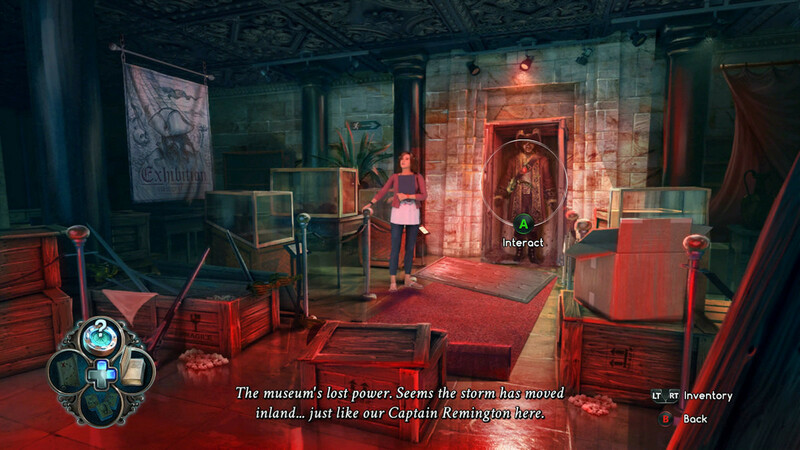 You play as the owner of a museum who is naturally excited to be receiving the preserved body of a legendary & fearsome pirate. Control is handed over the player almost instantly as your first steps are simply to gain access to the body & make sure he has all the bits he needs to complete his intimidating look. It’s a short introduction into how the puzzles work, how interacting with the backgrounds work & how you transition between areas. With no direct control regarding movement you simply place the cursor over an open door or area & click to move through it. It’s the same process when interacting with objects. Unfortunately reuniting him with his items re-animates him & he comes to life, kidnapping your daughter & making his getaway on his ancient ship. Thankfully before it leaves you manage to get aboard. 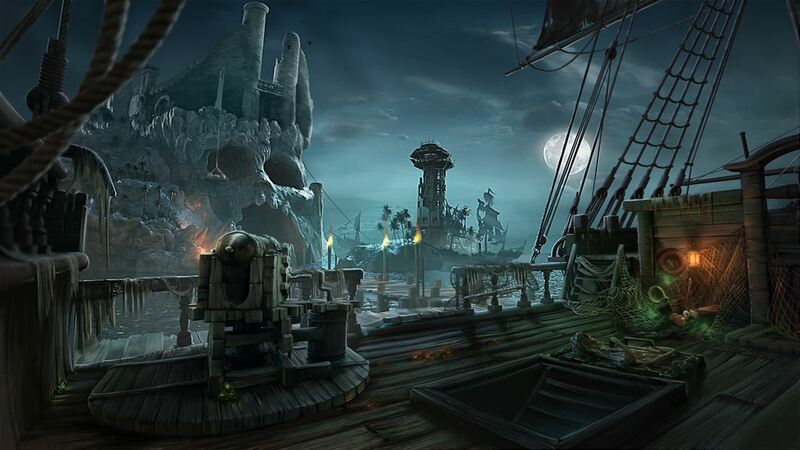 This is where the game really comes alive with gorgeous imagery, backgrounds & plenty of puzzles to boot. 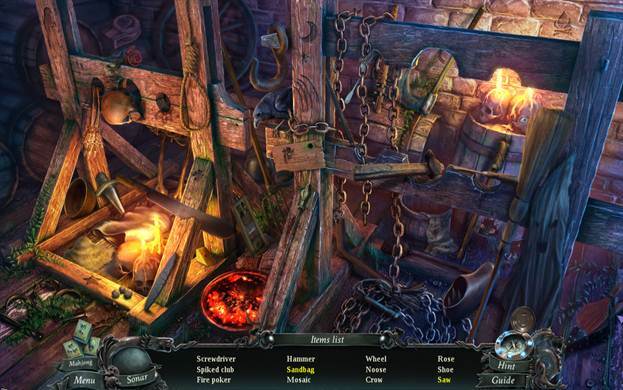 While the game is chock-full of puzzles they rarely bore as there is a great amount of variety & it’s rarely confusing. 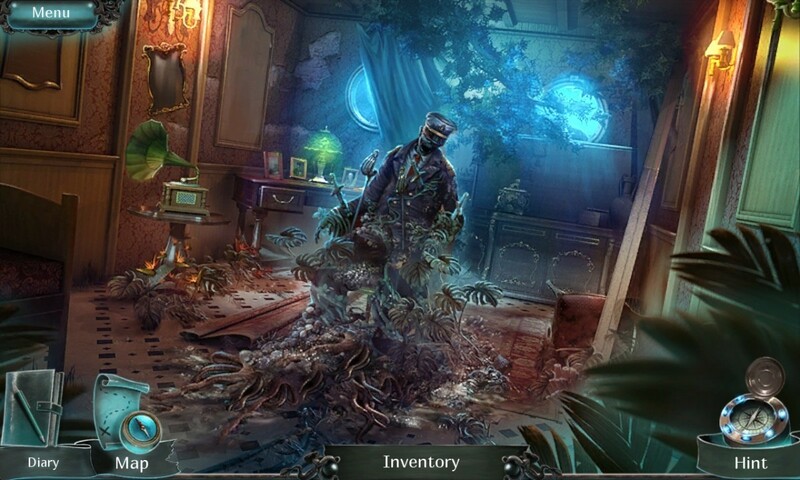 Everything you pick up in your inventory has a use somewhere & it is ever so satisfying to complete a tricky puzzle opening up more of the game to be explored. One of the nicer touches relate to the ‘item search’ mini-games…these pop up quite a bit throughout & require you to find a list of items hidden among an image. Finding everything can be a little frustrating at times as they can be really well hidden but should it be proving too difficult you can switch to a game of Mahjong instead & complete the puzzle that way. The story is satisfying, not exactly original but told in a way that keeps your interest up until the very final scene. Making the villain more of a sympathetic character was a risky choice but it works thanks to the good voice acting & brief cut-scenes. The game is a decent length coming in at about 4-6 hours for your first play-through (provided you’re not using a walk-through) but other than achievement collecting there is little replay value at all. An extra episode that takes place after the main game adds an extra hour of game-play to the overall package detailing how the pair managed to get back home. It’s not that interesting but does have some of the better looking imagery of the entire game. A great combination of an interesting story & fun yet challenging puzzles, The Cursed Heart is a damn good game.